More than a quarter of the cowboys in the 19th century were black and Bose Ikard became one of the most famous frontiersmen and trail drivers in Texas. 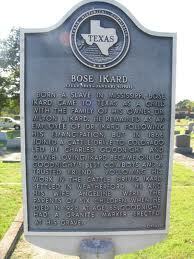 Born on a Mississippi slave plantation in 1843, Bose Ikard moved to Texas when he was nine years old with his master Dr. Milton Ikard. The family settled in Parker County, just west of Fort Worth, where Bose learned to farm, ranch, and fight the ever-present Indians. Even after becoming a freedman at the end of the Civil War, Bose stayed with his master’s family until 1866 when Dr. Ikard wrote a letter of recommendation for Bose to work as a trail driver for Oliver Loving and his partner Charles Goodnight. 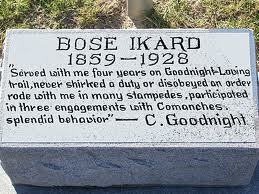 Bose joined the already famous Goodnight-Loving Cattle Trail over which about eighteen men drove cattle more than 2,000 miles from Texas through New Mexico to Colorado. Larry McMurtry patterned Lonesome Dove after the adventures of the Goodnight-Loving Trail, modeling the character Deets (played by Danny Glover) after Bose Ikard. Danny Glover played Deets the character in Lonesome Dove modeled after Bose Ikard. Evetts Haley in Charles Goodnight, Cowman and Plainsman relates Goodnight’s account of Bose Ikard’s rugged endurance, ability as a nightrider, and skill at turning a stampeding herd. When Bose decided to leave the trail and marry in 1868 Charles Goodnight advised him to settle on a farm near Weatherford, an area west of Fort Worth that continued to be plagued by Indian attacks. In 1869 Bose rode with his former master Dr. Milton Ikard in a running battle against Quanah Parker, leader of the aloof and warlike Quahada Comanches who for a decade had refused to move to a reservation. 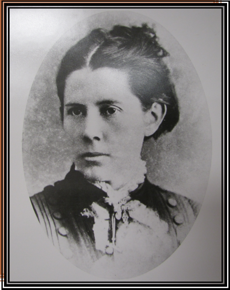 the Texas Panhandle” by the cowhands she doctored, fed, and counseled, Mary Ann Dyer Goodnight was loved and admired by all. She was fourteen in 1854 when she moved with her parents to Fort Belknap on the western edge of Texas settlement. Soon, both parents died and Mary began teaching school to support her three younger brothers. She met the young cattleman Charlie Goodnight at Fort Belknap in 1864 and their courtship continued through Goodnight’s service in the Civil War. By the time they married in 1870 Goodnight had a well-established reputation for driving cattle along the Goodnight-Loving Trail to New Mexico and eventually to Wyoming before he built a thriving cattle ranch at Pueblo, Colorado. The Goodnight-Dyer Cattle Company thrived in Pueblo until the depression caused by the financial panic of 1873 and a severe drought led to Goodnight forming a partnership with John George Adair, an Irish financier, to establish the first ranch in the Texas Panhandle in the lush green pastureland of Palo Duro Canyon. Adair, who was interested in investing in the cattle business, put up the financial backing while Goodnight was charged with running the entire operation. Goodnight made the first of many land purchases—12,000 acres for twenty-five cents an acre—and trailed 1,600 head of cattle into the canyon in the spring of 1876. Adair and his wife, Cornelia Wadsworth Ritchie Adair a highborn lady from New York, had fallen in love with the west on a buffalo hunt and viewed the investment and the trip to see the canyon as a great adventure. 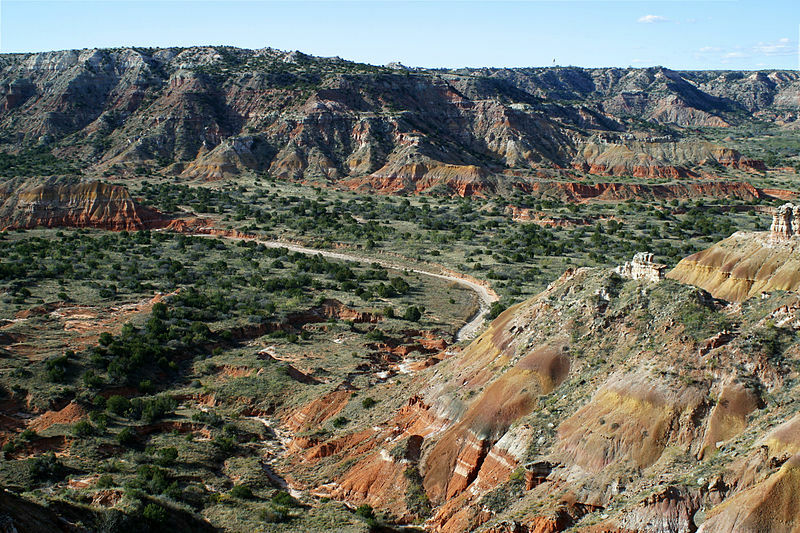 The two couples, one of Mary’s brothers, and several cowhands made the 400-mile journey from Colorado to Palo Duro Canyon the following spring. The entourage consisted of 100 head of the finest Durham bulls, four wagons loaded with six months’ supply of provisions, equipment, and horses to upgrade Goodnight’s Texas herd. 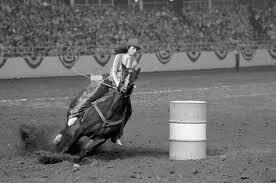 Cornelia Adair rode the entire distance on a fine white horse while Mary Goodnight drove the team to one of the wagons. As the Goodnight/Adair outfit reached the rim of Palo Duro Canyon, they gazed into the new JA (for John Adair) Ranch—a 1,500-foot deep gorge, ten miles wide, and almost 100 miles long teaming with 1,000 to 1,500 buffalo—home of Charlie and Mary Goodnight for the next eleven years. It took several days to move all the stock and supplies along the trail that wound for four miles to the Prairie Dog Fork of the Red River at the base of the canyon. After a few days exploring the area, the Adairs left and Mary Goodnight set about adjusting to life in a two-room log cabin at least seventy-five miles from the nearest white neighbor. Goodnight, in his Recollections claims that Mary was frightened that first night by the loud noises echoing off the canyon walls made by the buffalo during that spring mating season. Some accounts claim he had to convince her that dried buffalo dung made excellent firewood for her cook stove. Despite the constant wind and the loneliness from going six months to a year without seeing another white woman (Comanche squaws came into the canyon with Quanah Parker’s band) Mary claimed that was the happiest time of her life. Charlie Goodnight made a peace treaty with the Comanches that both he and Quanah Parker honored: Goodnight would give two beeves every other day to Quanah Parker’s band until they could find the buffalo they were hunting as long as the Indians did not take cattle from the JA herd. rotting carcasses that were left behind. She insisted that Charlie bring the orphaned calves home and by nursing them with three gallons of milk a day she restored them to health and helped establish the Goodnight buffalo herd. The Goodnights crossbred some of the buffalo with range cattle, calling the new breed “Cattalo.” Mary established her own herd and commissioned artist J.C. Cowles to paint scenes of the ranch. 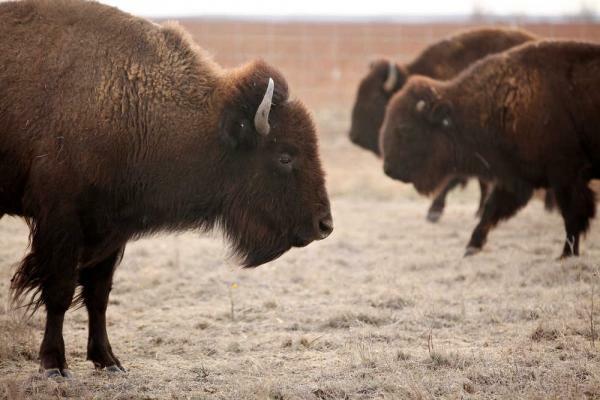 In 2011, eighty descendants of the great southern plains bison that Mary Goodnight was instrumental in saving were released to roam on 700 acres of the Caprock Canyon State Park in the Texas Panhandle. After John Adair died in 1885, Goodnight worked for a couple of years in partnership with Cornelia Adair before he and Mary left the JA Ranch taking as their share a 140,000-acre spread and 20,000 head of cattle near land that became known as Goodnight Station. As railroads, fencing, farmers, and townspeople moved into the Panhandle, Mary helped establish Goodnight College, a post-secondary school, in 1898. As a result of their generosity, churches, schools, and other organizations in the Panhandle were named for the ranching pioneers. In the late 1870s word spread across England of the fabulous money—returns of thirty-three to fifty percent on investments—to be made in American cattle ranching. Two British aristocrats, Sir Edward Marjoribanks the Baron of Tweedmouth and his brother-in-law John Campbell Hamilton Gordon, Earl of Aberdeen, established the “Rocking Chair Ranche” in 1883. Courting dreams of a vast English-style estate, the two “cattlemen” bought 235 sections in the Texas Panhandle counties of Collingsworth and Wheeler and began stocking their land with 14,745 head of cattle and 359 ponies. They laid out the town of Aberdeen with a ranch house, corrals, and a store as the nucleus of their envisioned cattle empire. 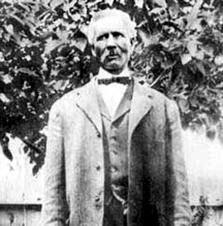 J. John Drew, an Englishman who partnered in the original scheme to sell cattle ranch land to British investors became general manager of the Rocking Chair. He got along well with the “cow servants” and knew cattle, but he wasn’t scrupulously honest. Baron Tweedmouth’s younger brother, Archibald John Marjoribanks became assistant manager and bookkeeper at the ranch. Uninterested in the life of a rancher and known among the cowboys as “Archie” or “Old Marshie”, Archibald spent his days drinking and gambling in Mobeetie saloons and hunting with his purebred hounds while drawing an annual salary of $1,500. The “Honourable Archie” never associated with or rode with the cowboys. Soon, even men who prided themselves on always being fair in their cattle dealings began openly rustling cattle from “Nobility Ranch,” apparently with Drew’s knowledge. Everyone in the Eastern Panhandle except Archibald knew of the thefts, and that rustlers and disgruntled cowboys were openly stealing from the ranch. Drew, who maintained the loyalty of the ranch employees, kept for himself 100 cows for every one stolen and reportedly shipped more cattle than he recorded for the ranch. For a time the ranch prospered, but the thievery began to show in the financial reports. Without prior notice Lord Aberdeen, Baron Tweedmouth, and other investors showed up at ranch headquarters demanding an inventory. Drew directed the cowboys to drive cattle around a nearby hill and back several times to make the count increase by several hundred and satisfy the “Lords of the Prairie” that the ranch operated an increasingly large herd. Additionally, a feud developed in 1890 between settlers and squatters of Southern Collingsworth County, who wanted Pearl City to be the county seat and the Rocking Chair faction that had laid out Wellington for that purpose. The Rocking Chair cowboys also caused the Great Panhandle Indian Scare in January 1891 when they killed a steer for supper, accidentally incinerated the carcass of the animal and in the process let out some loud whoops and celebratory gunfire. Although Indians had been run out of the Panhandle for at least ten years, settlers living in the remote region continued to be nervous. A woman living near the commotion rushed with her two children to report the blood-curdling war whoops. The news of an impending slaughter went out over the telegraph at the train station. Citizens barricaded themselves, waiting in terror for the attack. A hardware store in Clarendon sold out of guns and ammunition. Finally, the Texas Rangers mustered to defend the terrified citizenry only to discover that the noise came from Rocking Chair Ranch Cowboys having a good time. It took three days to calm the frightened community, and the episode became known as The Great Panhandle Indian Scare. By 1891 the Rocking Chair herd was so reduced that the entire range had to be searched to produce two carloads of calves for market. The owners tried bringing charges against Drew, but community feelings against the Englishmen made it impossible to impanel a jury. The ranch was sold in 1895, and all that remains are the names of Wellington and Rocking Chair Hills in the northern part of Collingsworth County. The Texas Constitution of 1876 set aside three million acres in the Panhandle to fund construction of the state’s fourth capitol. Big land giveaways in Texas started in 1749 when the Spanish Colonial government began establishing villas along the Rio Grande. 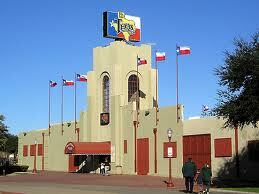 Mexico continued the practice of granting empresarial contracts to establish colonies in Texas. The Republic of Texas issued land grants to pay its debts, including payment to the army and volunteers for their service in the war for independence from Mexico. After Texas joined the Union and negotiated to keep its public land, the state offered land to encourage development of farms and ranches, to attract new industry, to fund its public schools, and to entice railroad construction. So, it makes sense to use land in payment for the state’s fourth capitol. The third capitol burned on November 9, 1881, increasing the urgency to name a contractor for construction of the new building. 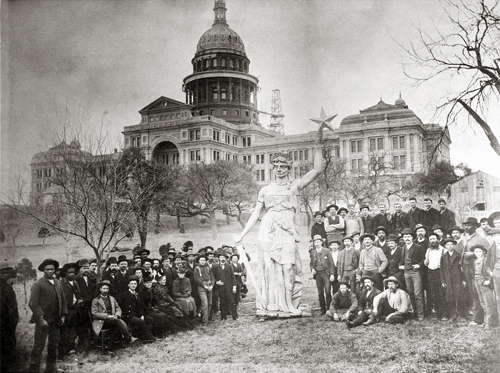 By 1882 the State of Texas initiated one of the largest barter transactions in history to pay wealthy Chicago brothers, John V. and Senator C. B. Farwell, three million acres of Panhandle land in exchange for building the $3 million State Capitol at Austin. 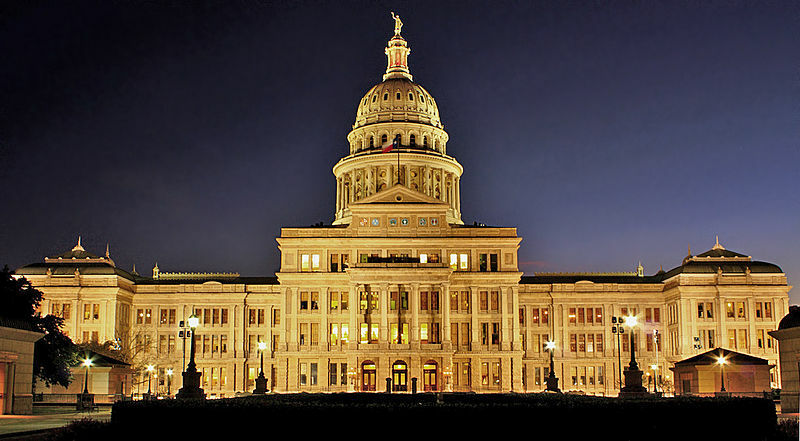 Owners of Granite Mountain, a solid rock dome about fifty miles northeast of Austin, donated enough “sunset red” granite to construct a Renaissance Revival design modeled after the national Capitol in Washington. Convict labor hauled the huge blocks of granite to a newly built narrow-gauge railroad that carried 15,700 carloads of granite from the quarry to the building site in Austin. Upon completion of the 360,000 square foot capitol in 1888 and the placing of the statue of the Goddess of Liberty atop its dome, the building reached a height of 311 feet—almost fifteen feet taller that the National Capitol. Since the land used to pay for the capitol stretched across the unsettled Texas Panhandle from present Lubbock to forty miles north of Dalhart, the capitol syndicate decided to establish a ranch until the land could be sold. Representatives went to England in 1884 to secure $5 million from British investors to finance the purchase of cattle, fencing, and the entire infrastructure for the huge enterprise. The vastness of the operation required dividing the ranch into eight divisions with a manager over each. A 6,000-mile single-strand wire fence eventually enclosed the ranch, the largest in the world at that time. 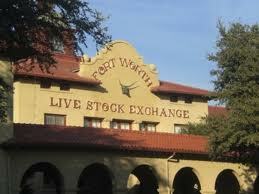 By 1890 the XIT herd averaged 150,000 head, and the cowboys branded 35,000 calves a year. Fences divided the ranch into ninety-four pastures; 325 windmills and 100 dams dotted the landscape. Cowhands received pay of twenty-five to thirty dollars a month. XIT men and their “hired guns” sometimes formed vigilante groups to combat problems of fence cutting and cattle rustling. Wolves and other wild animals took a heavy toll, especially during calving season. Lack of ample water, droughts, blizzards, prairie fires, and a declining market resulted in the XIT operating without a profit for most of it years. The schoolteacher wife of one of the managers, Cordia Sloan Duke, kept a diary, writing notes on a pad she carried in her apron pocket while she “looked after” her own family and the 150 cowboys who worked the ranch. She successfully encouraged eighty-one cowboys and their families to keep diaries. Eventually, she and Dr. Joe B. Frantz published a book, 6,000 Miles of Fence: Life on the XIT Ranch of Texas. Through Mrs. Duke’s efforts, an authentic account of the work and lifestyle of that early phase of American life has been preserved in the cowboys’ own language. With British creditors demanding a positive return, the syndicate began selling the land for small farms and ranches. Although the cattle had been sold by 1912, the last parcel of land was not sold until 1963. One hundred years after the land exchange, the tax value on the property reached almost $7 billion. 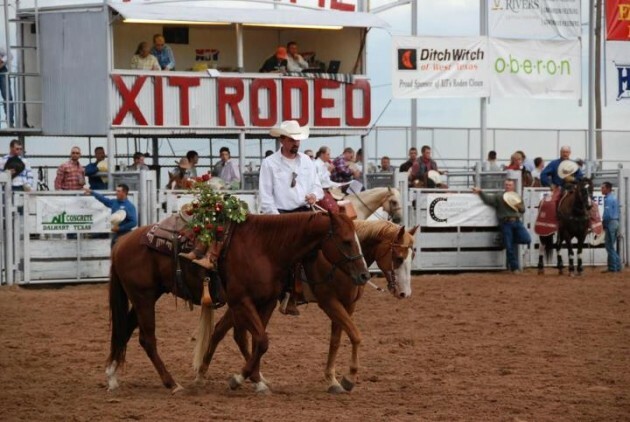 The XIT Ranch, built on land that served as payment for building the largest state capitol in North America, is remembered at the annual Dalhart XIT Reunion where a horse with an empty saddle honors the range riders of the past.